I use my smartphone quite often to read news. Arguably, I get more news off the apps on my phone than I do from any other source. I’m also currently heavily involved with the Microsoft Lync product. And while there are plenty of locations on the Internet to keep up with Lync, it’s not so easy on my phone. 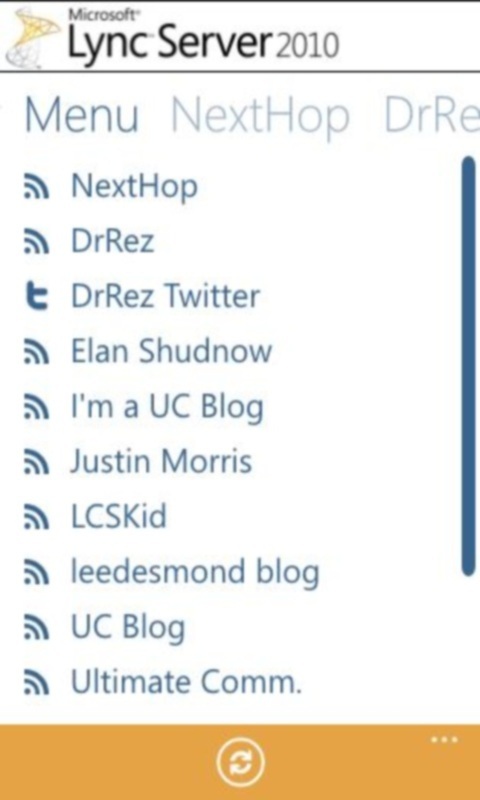 As such, I’ve pulled together the RSS feeds from some of the most active sites and slapped them all into one app called “Microsoft Lync News”. This app is available for Android and Windows Phone. It doesn’t do much other than pull in the RSS feeds from 11 different sites and allows you to easily access the articles. The download link for Windows Phone is right here. If you prefer Android then this is the link for you. Don’t expect an iPhone version. It costs too much – typical Apple!